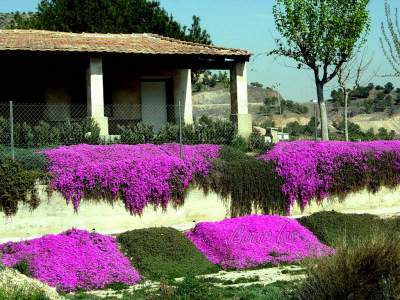 Ground Cover Gardening in Spain . Ground cover Ground covers are usually creeping, sprawling or clumping plants, but can also include low growing shrubs and perennials, if they spread to cover the area. They provide a low carpet of green for the purpose of keeping down weeds, conserving moisture, preventing erosion, and protecting the roots of trees and shrubs from extremes of heat and cold. They may also add charm to the garden by showing off trees, shrubs, and flowering plants to best advantage. Ground covers are often underrated. Ground cover plants are commonly used as substitutes for grass, especially in areas where it is difficult to maintain or grow grass, such as deep shade or steep slopes, and they can add variety to the landscape. Substituting ground covers for lawns, you can save yourself from the burden of mowing, as most ground covers are very low-maintenance. In warm areas, ground covers can be planted basically any time. Spring and autumn, however, are the ideal, as the climate is young-plant-friendly, and rainfall is profuse. In colder areas, spring is the best time to plant ground covers because autumn plantings are likely to have a hard time surviving alternate freezing and thawing of the soil. If you have no choice but to plant in autumn, try to do it as early as possible in order to allow young plants to become established before the cold weather arrives. When to plant ground covers. There is a ground cover available for every scenario – from deep shade to bright sun, and from poor soil to rich loam. 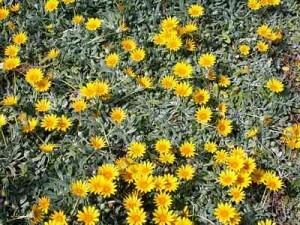 That it be suitable for covering the ground, make a fairly dense mass of greenery, and be able to get along with minimal attention. The selection of a specific plant will depend on where it is to be used and will include such factors as hardiness, soil preference, moisture and light requirements, height, and floral and leaf characteristics. 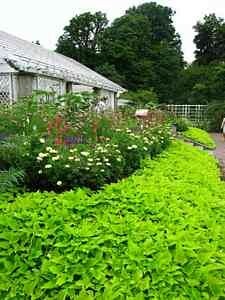 The secret of success with ground covers is choosing the right plant for the area in question. 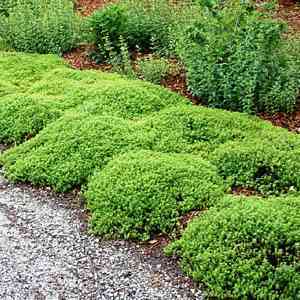 Many ground covers spread quickly and are very resistant to diseases and pests, making them a gardener’s dream. Before planting a ground cover, do some research on what does well in your area, and think about what it is you want to achieve. Remember that once established, you have to live with this plant for a long time to come. There are many properties to consider, such as whether you want bright colour, shades of green, fragrance, textures, or usefulness, such as you would find in an herbal ground cover. Or maybe you want all of the above. The good news is you can have that if you choose your plants carefully. Choosing ground covers Pruning and trimming. regular care to keep them dense and vigorous. In addition to proper irrigation, fertilization. 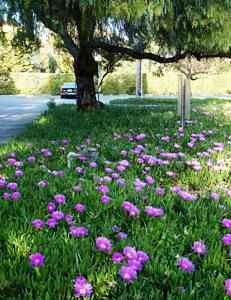 Ground covers are generally more attractive if pruned back each year in late winter or early spring. The appearance of the planting will usually serve as a guide for scheduling pruning work. 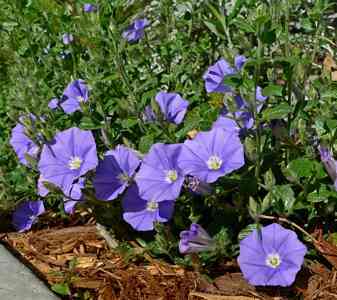 To encourage a ground cover bed to recover quickly, fertilize and irrigate after pruning is done. Rapid-growing types may need trimming two or three times during the growing season. The need for artificially shearing a planting can be an indication of the wrong plant in the wrong place! If a plant continues to over-run a sidewalk area, remove it and allow more space for neighbearing plants, rather than repeatedly edging the offending plant. 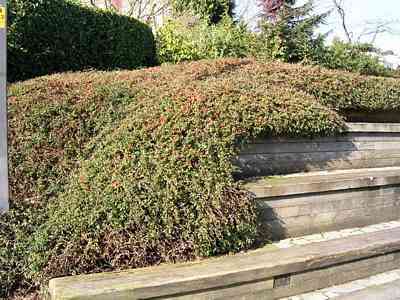 As there are several sizes and locations of ground covers, there are also various methods of pruning. Some small ground covers can be pruned by hand trimming with pruning shears in order to maintain compactness and dense growth. As for ground covers grown on a steep slope or narrow area, the electric string trimmer can be very useful and practical. If you grow carpeting plants or ground covers in a large area, however, mowing can save you a lot of time. Since ground cover plants grow in close competition for nutrients, they should be fertilized regularly to maintain good leaf colour, yet moderate growth. Over-fertilization results in excessive growth that requires more work to maintain and keep presentable. Succulent plants offer dazzling possibilities for garden design and require only minimal maintenance to remain lush and alluring year round. Featuring the work of more than 50 professional garden designers and creative homeowners, this complete design compendium is as practical as it is inspirational. Lavishly illustrated with over 300 photographs, it gives design and cultivation basics for paths, borders, slopes, and containers; hundreds of succulent plant recommendations; and descriptions of 90 easy-care, drought-tolerant companion plants. Beginners and experienced designers, landscapers, and collectors alike will find what they need to visualize, create, and nurture the three-dimensional work of art that is the succulent garden. 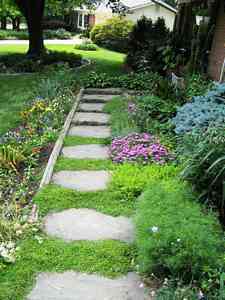 Ground covers add that extra dimension to a garden with very little effort on the part of the gardener. They really are ridiculously under-utilized. 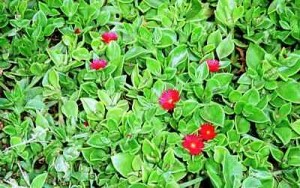 There is an enormous range of ground covers suitable for any conceivable purpose. 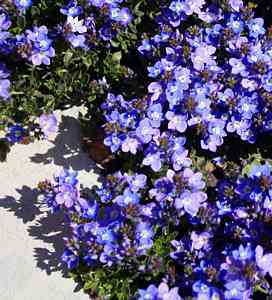 A visit to the local nurseries and garden centres will reveal an abundance of varieties. Spain Info Ground cover. 43 San Francisco De Asis, Urb Marina, San Fulgencio, 03177, Alicante, Spain. 38n21, 0w29.